Quick, easy solution for a gentle clean. 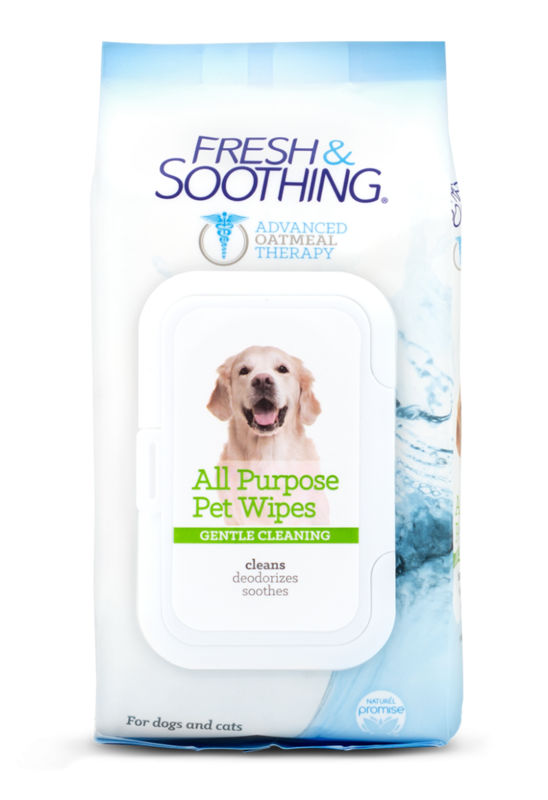 Fresh & Soothing All Purpose Pet Wipes are ultra-soothing, leaving them clean and smelling great. The gentle cleaning wipes infused with oatmeal and natural ingredients, help reduce odors and moisturizes the skin and coat, removing debris and dirt. 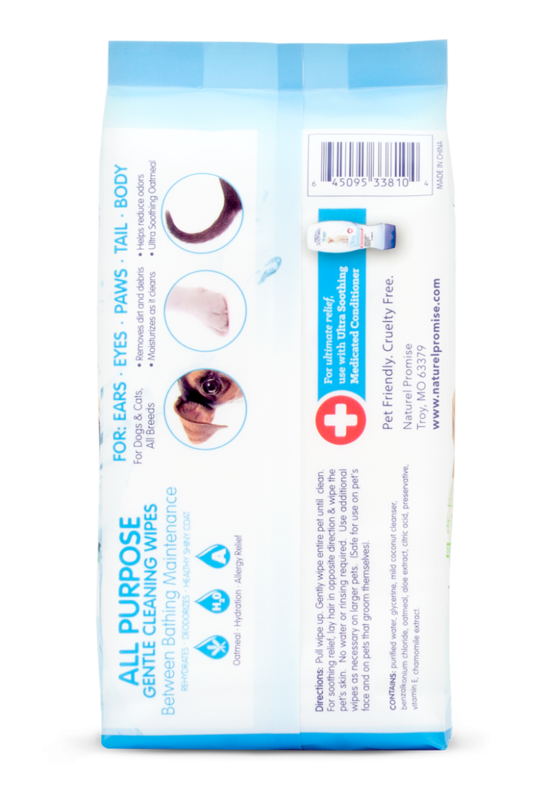 Fresh & Soothing All Purpose Pet Wipes are safe for dogs and cats. Purified Water, Glycerol, Mild Cleanser, Oatmeal Extract, Fragrance. 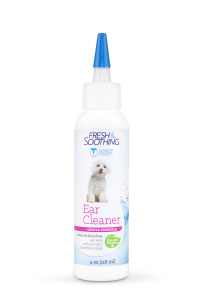 Keep your pet close with fresh products for coat, home, and health. Pull wipe up and tear at a slight angle. Gently wipe entire pet until clean. For soothing relief, lay hair in opposite direction and wipe the pets skin. No water or rinsing required. Use additional wipes as necessary on larger pets. 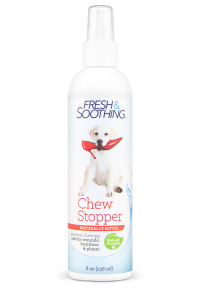 (Safe for use on pet’s face and on pets that groom themselves).